“I hate to think that a thousand years in history has gone up in flames,” Jonathan Moore a registered architect and President of InVision Advisors said. Moore was a project manager and religious architect for 40 churches across the state of Florida. Notre Dame was always a cathedral he tried to mimic in his designs. “I based some of my designs here locally on it,” Moore said. One of those churches is Lake Magdalene in Tampa. Moore said the priest wanted high vaulted ceilings, so he designed it using buttresses similar to Notre Dame. Moore said that even though the church is made of concrete, the heat from the fire could bring it down. 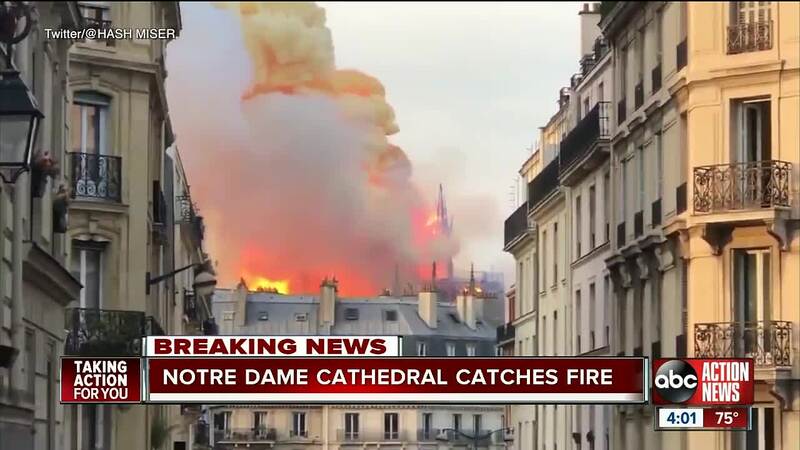 The fire could be connected to the recent restoration of the church, officials said. The restoration work costs €120 million, the Notre Dame Paris office told ABC News, adding that a fire alarm test conducted last week went well. 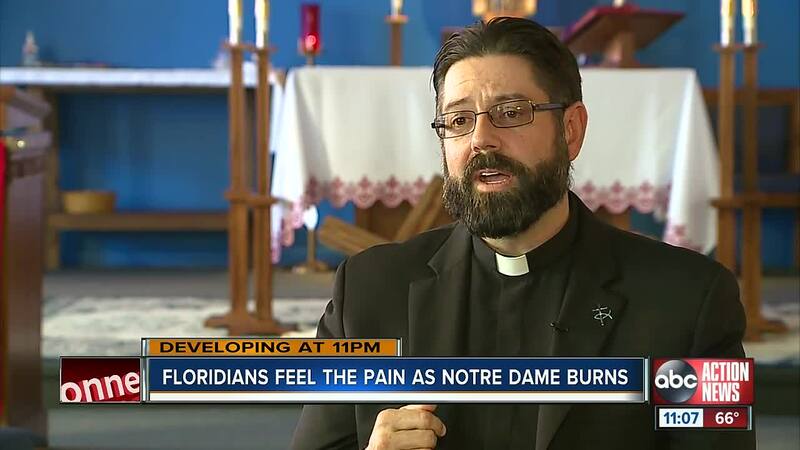 Father Justin Paskert said Notre Dame isn’t just a symbol of the Catholic Church; it is something that connects everyone to the past. “The amount of history at Notre Dame is utterly amazing,” Paskert said. Paskert visited the church during his first year as a priest. It also happened to be on the 850th anniversary of the cathedral. Monday marks the start of Holy Week, the busiest and most important period of the liturgical year. Easter is on Sunday. French President Emmanuel Macron was visibly emotional as he addressed the media outside the Notre Dame Cathedral, describing the blaze as a "terrible tragedy." "The worst was avoided even if the battle has not been completely won," Macron said, vowing to rebuild the historic structure by utilizing "the best talents."